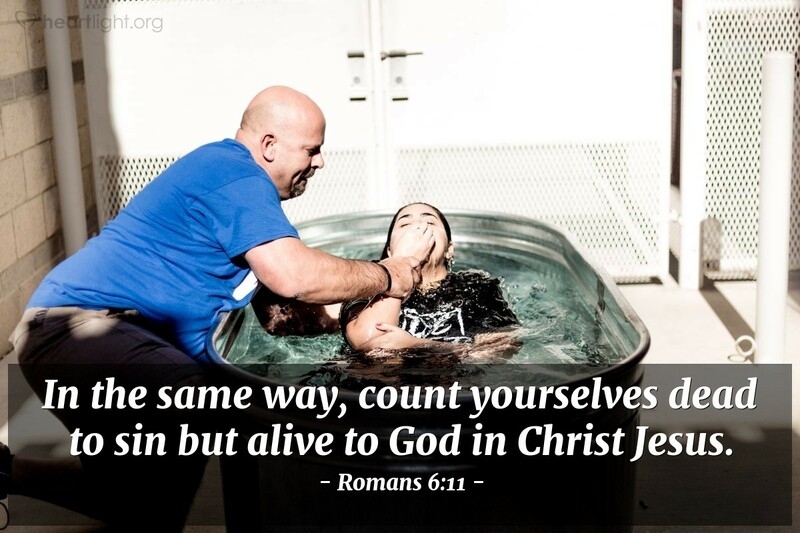 In baptism, we are united with Christ in his death (see Romans 6:1-14 for the background of this devotional meditation). Our old sinful selves are crucified with Christ. We are no longer slaves to sin. We are alive in Christ — the one whom sin could not master and death could not conquer. His life is now our life. His victory is our victory. His future is our future. Let's set our hearts to live based upon this certainty! Gracious Father, I find it incredible that you put all my past sin in the grave of your crucified Son and have raised me up to new life in him. Inspire me to find meaning, joy, and victory in Jesus. Strengthen me with your Spirit and conform me more perfectly to my Lord. Please empower me to live fully trusting that all of my sin is dead, buried and gone. Please give me the confidence that my new life is bound up with Jesus and his future. Jesus, I thank you for this hope and offer this praise in your name. Amen.